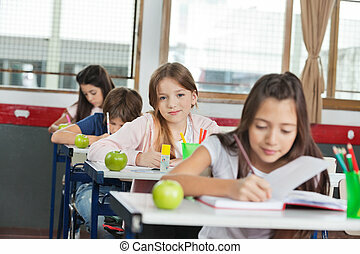 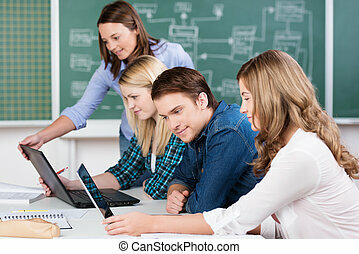 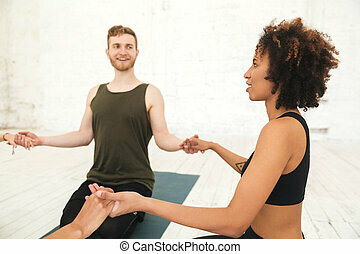 Class sitting with joined hands in a row at yoga class. 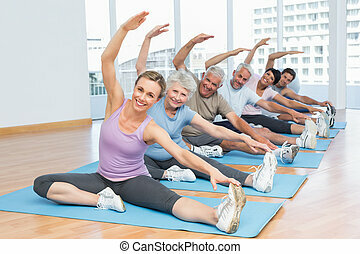 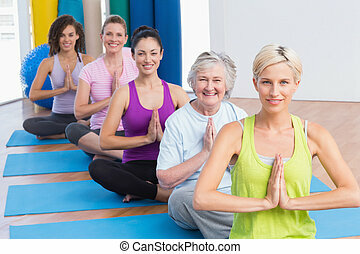 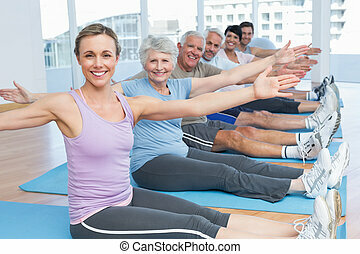 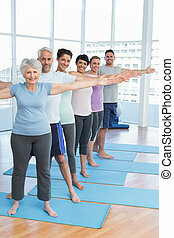 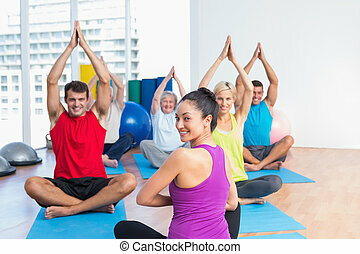 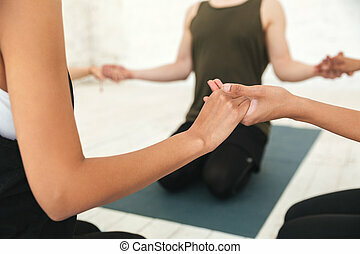 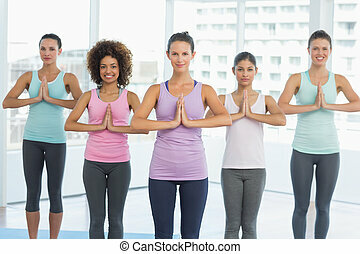 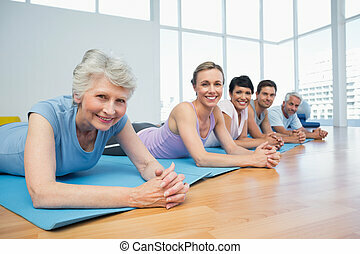 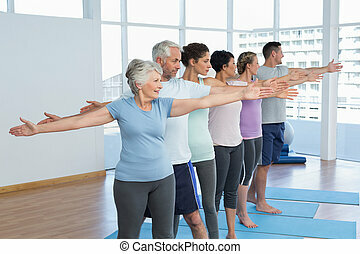 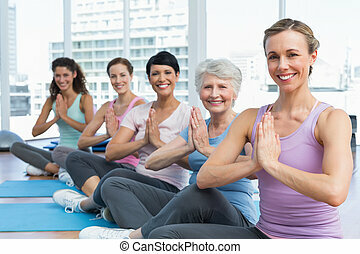 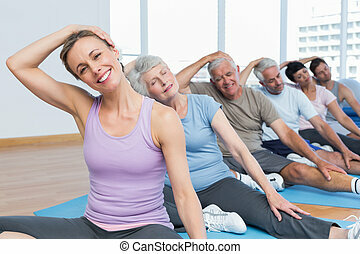 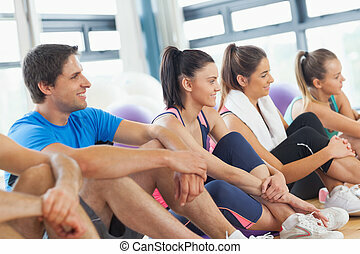 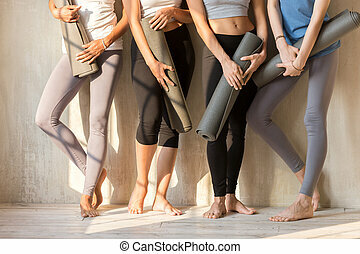 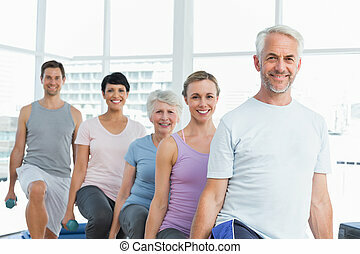 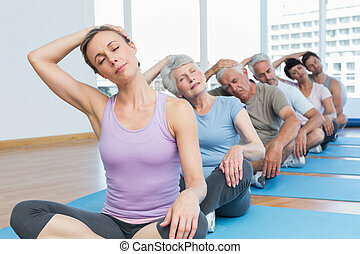 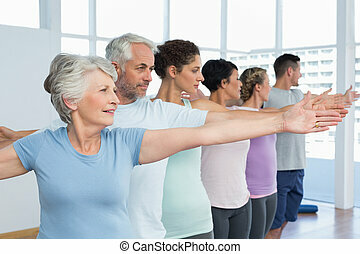 Female trainer and class sitting with joined hands in a row at yoga class. 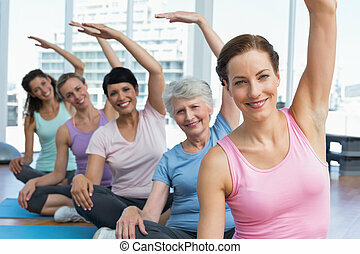 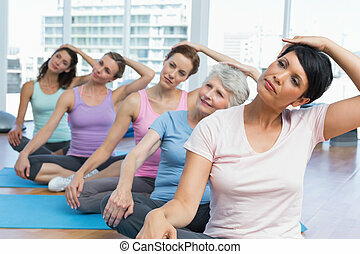 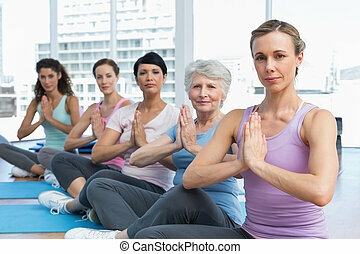 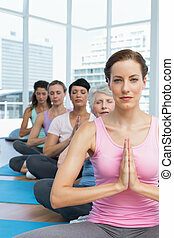 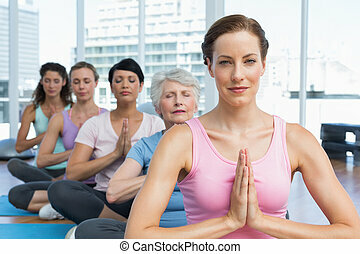 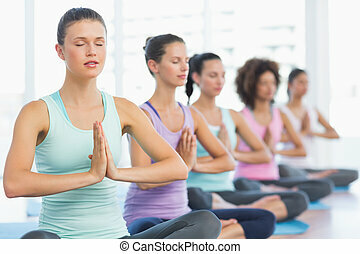 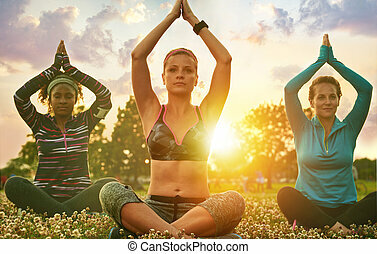 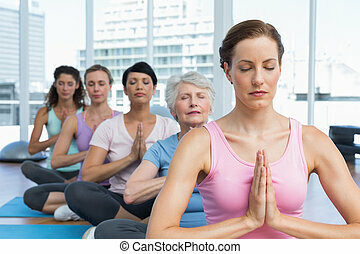 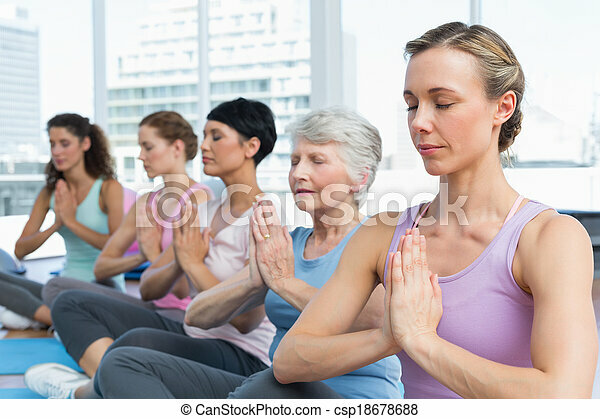 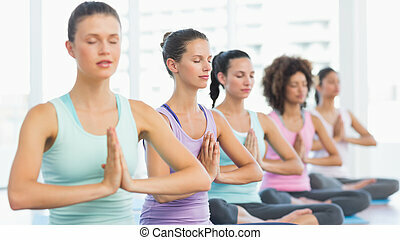 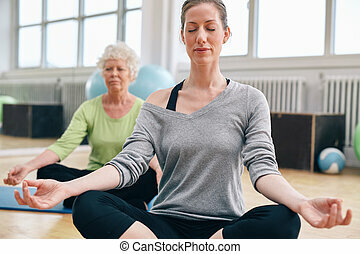 Women relaxing and meditating in their yoga class at gym. 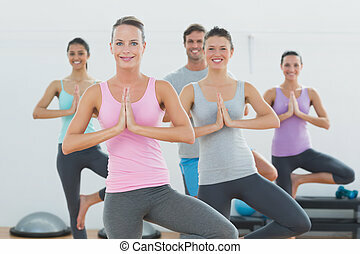 Female trainer performing a yoga routine with her class.